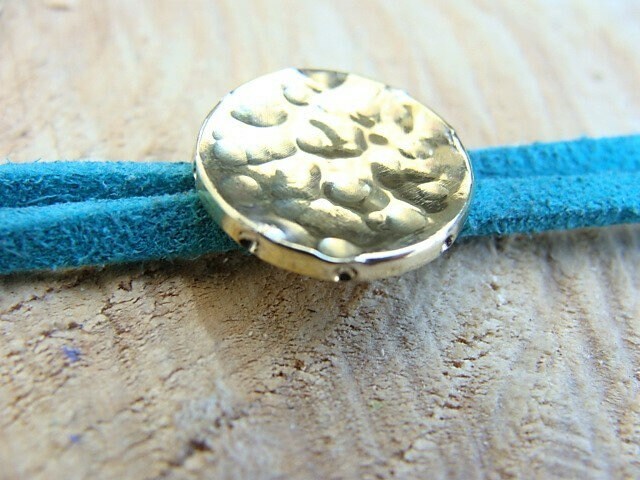 Round brass motif bracelet, hammered, many light reflections. 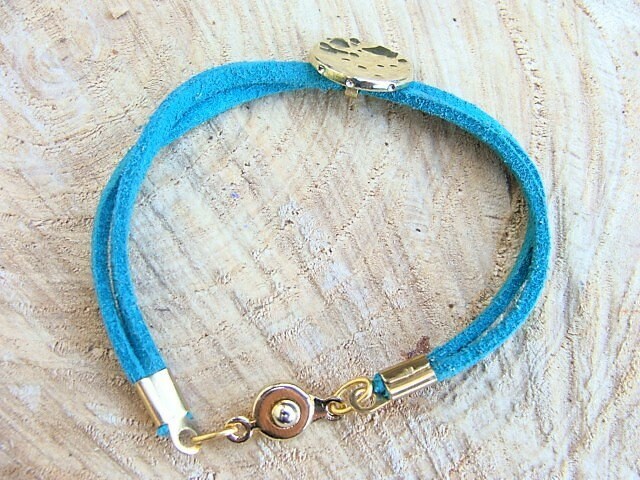 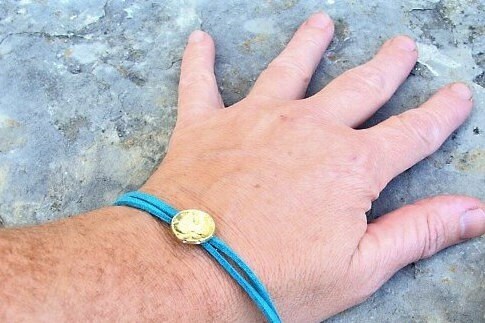 The motif is arranged on a double link in imitation blue leather - turquoise. 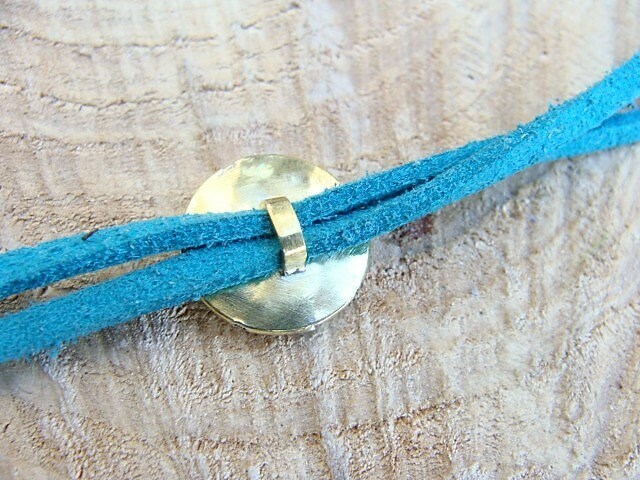 Gold metal clasp, clip system, easy to put alone! 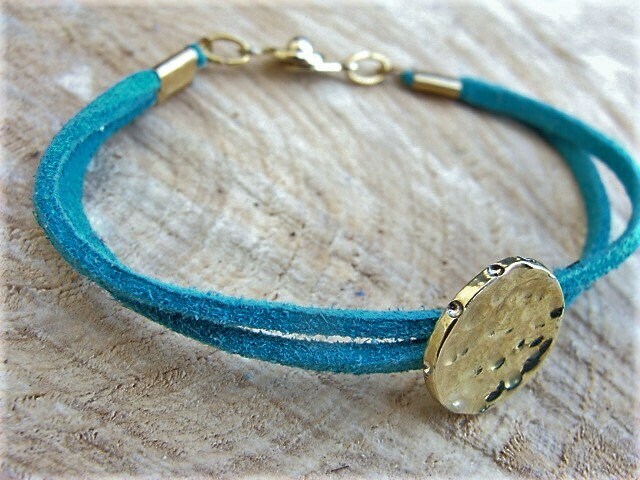 Adjustable on request according to your wrist. 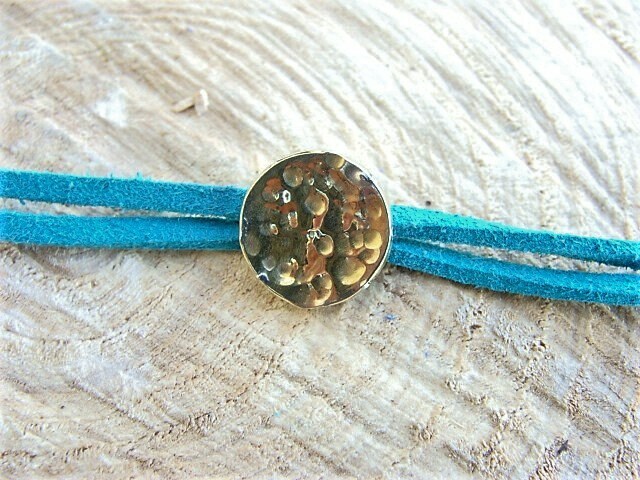 Handmade jewel, in my workshop Lyonnais. 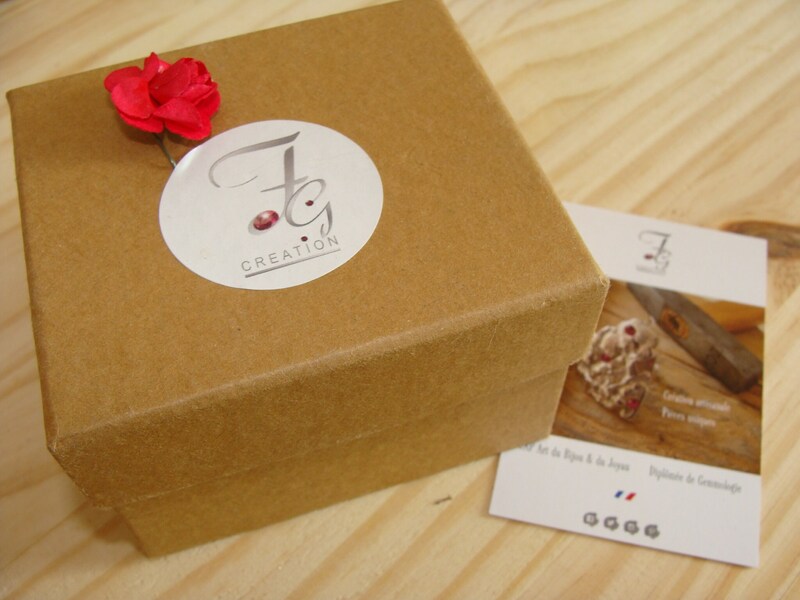 Delivered in a beautiful case, with a chamoisine as a gift, to clean your jewel!